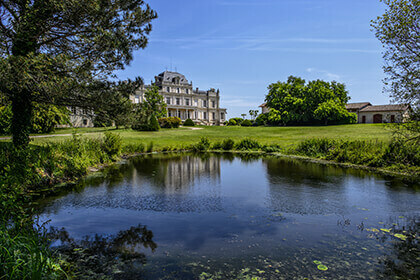 Classified as a Third Growth Chateau in 1855, Chateau Giscours has a long and rich history which can be traced to the 14th century and in 1855. In 1995, the chateau was bought by Eric Albada Jelgersma, who also owns neighboring Chateau du Tertre, who invested in modernizing its cellars and vineyards. Today, the property comprises 83 hectares, 60% of which are planted with Cabernet Sauvignon, 32% Merlot, 5% Cabernet Franc and 3% Petit Verdot. 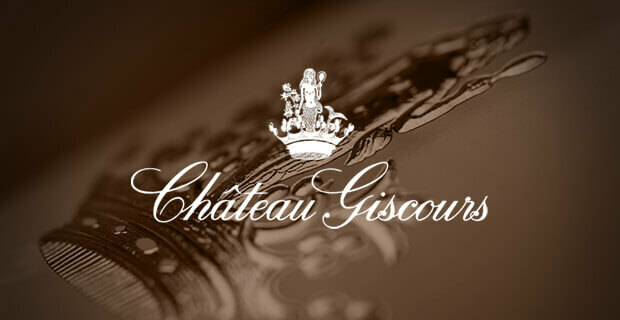 Chateau Giscours wine acquires is complexity of aromas through months of aging in oak barrels. As Salvador Dalí once declared “Who knows how to taste wine never drinks wine again, but tastes secrets instead.” It goes without saying that just one swirl and a sip of a wine from Château Giscours will expose all of the secrets of your taste buds. Indeed, the mysteries a Château Giscours wine can reveal on your palate supports its distinction as an acclaimed Third Grand Cru Classé of 1855 ranking. 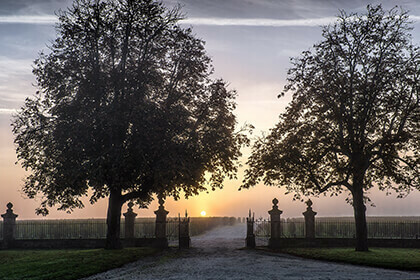 Château Giscours is one of the crown jewels of the Margaux appellation that has the distinguished Third Grand Cru Classé of 1855 classification. This estate has a glorious history that had its beginnings in the fourteenth century as a defensive dungeon that stood in the midst of a wild, ravaging countryside. However, Pierre de Lhomme, a wealthy Bordeaux draper, tamed this wildness with vines and built an expansive estate overlooking his vines in 1552. One of the most notable owners afterwards was the Count of Pescatore who not only transformed the Château Giscours into the neoclassical palace as we know it today after his purchase in 1845, but also enlisted the help of Pierre Skawinski, who still retains the title of being one of the most respected grape growers in all of Bordeaux. His 50-year tenure at the estate led to the revolutionary idea of using gravity in cellars during the winemaking process, and Château Giscours was a part of this technological development that is now used in most of the top Bordeaux estates. Into the modern era with Nicolas Tari’s purchase of Château Giscours in 1954, he helped in the rebirth of the château with the use of the know-how he gained living in Algeria as a winemaker. Château Giscours then landed in the capable hands of Dutch businessman, Eric Albada Jelgersma, in 1995 who undertook the entire renovation of the property to give Château Giscours all of the nobility it should have as a Third Grand Cru Classé estate. A large part of this modern renaissance is due to the efforts of managing director, Alexander van Bee. Part of this renewal included replanting vines with a considerable increase in Cabernet Sauvignon and the switch from machine to hand harvesting. Because of these innovations, vintage after vintage continues to show improvement worthy of its acclaimed status. The finest vintages from Château Giscours with their ripe cassis fruit and silky texture start in the 102-hectare vineyard in which the king is Cabernet Sauvignon at 60% and then Merlot at 32%. The remaining is 5% Cabernet Franc and just a bit of Petit Verdot at 3%. Château Giscours’ sublime terroir consists mostly of gravel with sand and a bit of limestone in the soils, which grows vines that are on average 45-years-old. However, the oldest Cabernet Sauvignon and Merlot vines are up to 70 years of age. With the greatest respect for the terroir, Château Giscours uses biodynamic practices on a part of its vineyard, but it plans to expand these practices to cover a greater percentage in the next few years. 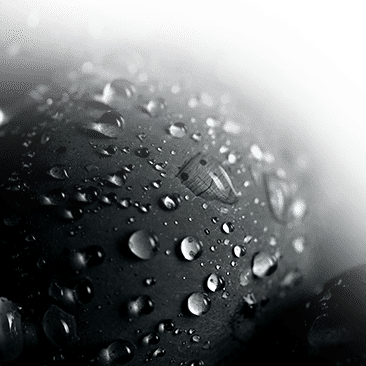 Once the berries are hand-picked at their perfect ripeness, Chateau Giscours uses both stainless steel vats and concrete tanks to vinify its supple wines. They are then aged in French oak barrels in which 50% are new for a period of up to 18 months. During this time, the wines gain their complexity and achieve the ultimate balance of black fruit and oaky spiciness to give wines elegance and finesse – all the markers of a classic Margaux. The Château Giscours (Margaux), the estate’s first wine and its Grand Cru Classé of 1855, is a wine of great persistence. The blend consists of 60 % Cabernet Sauvignon, 32% Merlot, 5% Cabernet Franc and 3% Petit Verdot, and has an estimated ageing potential from 8 to 20 years. The Sirène de Giscours (Margaux), Château Giscours’ second label, comes from a blend of grapes from young vines. The care and attention in winemaking and ageing that goes into the first label is the same as for the second wine to give another elegant Margaux. The Château Duthil (Haut-Médoc) is a Cru Bourgeois wine with a blend of 55% Cabernet Sauvignon and 45% Merlot. It comes from plots in the Haut-Médoc, and vinified in the cellars of Château Giscours. The wine is aged for 12 months in French oak with 35% in new barrels. The persistent aromatic bouquet and its balance make this a wine of exceptional quality. Haut-Médoc of Giscours (Haut-Médoc AOC) is a 50% Cabernet Sauvignon and 50% Merlot blend from some of the most beautiful terroirs in the Haut-Médoc appellation. 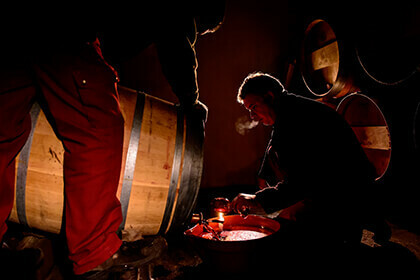 The Château Giscours team ages the wine for 12 months in French oak with 20% in new barrels to give an elegant wine. The Rosé de Giscours (Bordeaux Rosé AOC) is 100% Cabernet Sauvignon and is the result of direct pressing. The freshness and aromatic citrus notes of this rosé makes this another elegant Château Giscours wine.